Pull from the full monster manual to easily manage combat and encounter notes. A 'monster finder' view allows you to select monsters based on type, alignment, and size. 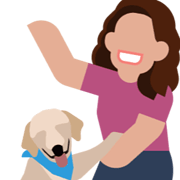 When not nerding out on Coda docs, you can find Maria on stage, narrating audiobooks, or playing with her Golden Retriever, Ned or two calicos, Starbuck and Athena.